Some great things are happening in the UK this year, so you don’t even need to stray from British soil to enjoy some great events. The Rugby World Cup will be gracing our soil in September and October and is sure to reignite the national pride showed throughout the 2012 London Olympics. In addition to this there’s a number of other annual events including the British Grand Prix, can Lewis make it two years in a row? Wimbledon, is Andy Murray going to be back on top form by July? And the annual Edinburgh Military Tattoo which promises to be a summer highlight. 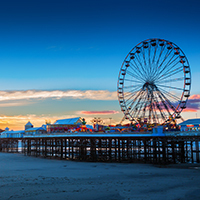 If events aren’t quite your thing, Door2Tour offer plenty of coach holidays UK including firm favourite destinations such as Blackpool, Cornwall, Yorkshire and more. Europe offers a wealth of fabulous destinations to explore not far from your doorstep, from the beautiful canals of Venice in Italy, to the wonderful architecture of the Sagrada Familia in Barcelona, to the naturally carved wonders of the Alps in Austria to the beautiful Black Forest in Germany. You are bound to find something wonderful when visiting Europe on a coach holiday. After just a short hop across the Channel and France will welcome you to its shores. Coach holidays to France include visits to the Champagne Capitals, Nice, the French Rivera and of course Paris. 2015 could be your year to take coach trips to Paris, stroll along the banks of the River Seine, climb the iconic Eiffel Tower or maybe even see the famous Notre Dame Cathedral. After exploring the Nation’s capital you could always unwind with a trip to Disneyland Paris, coach trips to Disneyland Paris are great fun for all the family. 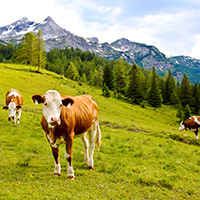 Maybe you fancy going a bit further afield and exploring somewhere completely different in 2015? Maybe adventure to the United States of America to see the monstrous Grand Canyon, the bright lights of New York City or the stars on Hollywood Boulevard. For something a little further away from everyday life, take an escorted tour to South America where rainforests and energetic cities meet lost ancient worlds. Adventure down under and explore wonderful Australia and picturesque New Zealand with its rolling green hills and spectacular scenery. Go wild with an escorted tour to Africa, join a safari or explore the troubled history of South Africa. Or perhaps visit ancient temples in Cambodia or take an elephant ride in Thailand on an escorted tour to Asia, which is bound to leave you in love with this part of the World. It's Magical at the Harry Potter Studio Tour!